If you love to eat fish, particularly salmon, you might have noticed a significant price hike for fresh salmon products in the last few months. As the world’s appetite for salmon grows, we’re also seeing skyrocketing growth in salmon farms turn into an estimated $10 billion industry worldwide to keep up with the demand. But raising these fish in such close quarters has meant creating the perfect breeding ground for sea lice — tiny parasites that feed on the skin and blood of host fish. Sea lice infestations can harm and even kill farmed salmon, ultimately costing salmon producers millions of dollars in losses and raising the price for the fish that do survive. 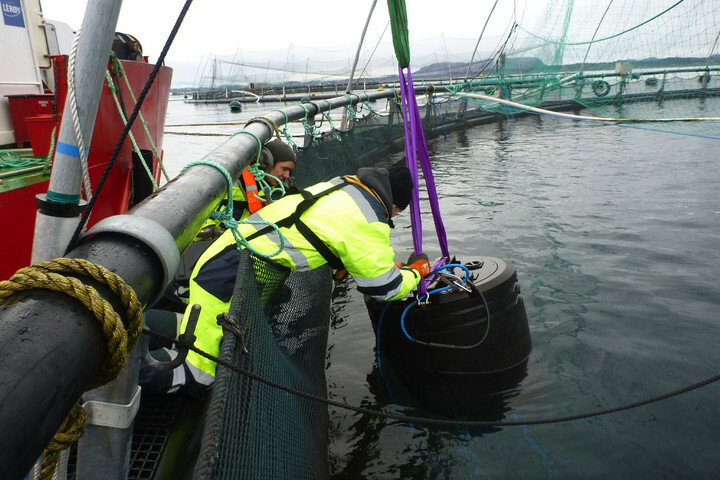 To combat this growing problem, some big salmon farms in Norway and Scotland are turning to an unlikely technological solution: underwater drones equipped with cameras and lasers that literally incinerate the little blood-sucking critters off sick salmon. Built by Norwegian company Stingray­ Marine Solutions, the Stingray drone is housed in an aluminum case and outfitted with a pair of stereo cameras and a processor the runs image-recognition software. These tools are similar to the facial recognition software used on mobile devices, allowing the Stingray to zoom in and identify a sea louse on a salmon fish as it swims by. It’s armed with a surgical diode laser, much like the kind that’s used in a dentist’s or ophthalmologist’s office, which can quickly zap a parasite with a 100-millisecond laser pulse as soon as it’s detected. Fortunately, the salmon are not harmed by the laser, thanks to their shiny scales, which readily reflect the laser blasts. The company estimates that the drone can eliminate tens of thousands of these tiny lice every day — a significant figure, if one considers it only takes less than a dozen sea lice to effectively maim and kill a smaller-sized salmon. This is especially true for Norway, which is the world’s largest producer of farmed salmon, supplying almost half of the annual global output of 2.5 million tons of salmon. For the large Norwegian producers that are now backing this innovative startup, one of the major advantages of the Stingray is that it is programmed to be autonomous. It’s attached to a winch that acts as a tether as it moves around the salmon pen using its thrusters; in finding the best spot to park itself, it is capable of taking into account factors like water temperature, oxygen levels and salinity, and using its machine vision technology to track and target sea lice, each of which are only a few millimeters in size. 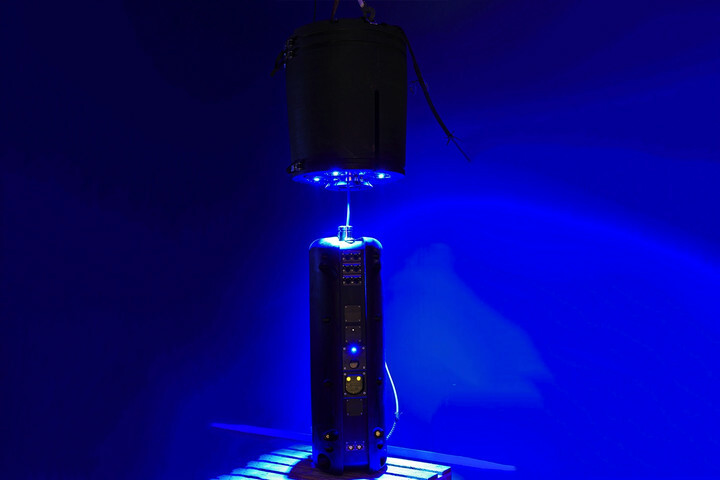 Not surprisingly, this autonomous method of what the company calls “optical delousing” is much less labor-intensive and cost-effective than conventional methods, such as the use of harmful pesticides, or rinsing the salmon with powerful blasts of hot water, as well as introducing a secondary, “cleaner fish” species, such as wrasse or lumpfish, which eat the lice but don’t compete with the salmon. While these treatments can work, they are expensive. The task of washing infected fish is often contingent on factors like good weather, and the use of cleaner fish may facilitate new problems like the transmission of viral fish diseases. For some, the use of laser-shooting drones seems shortsighted, a band-aid solution that overlooks the dire and harmful impact that these massive, densely packed salmon farms have on the surrounding environment and other marine wildlife. As it is though, the global demand for salmon shows no sign of slowing down, and it’s quite likely we will be seeing more of these sharp-shooting, underwater drones saving these salmon from a human-made problem.